It's the return of some off season tailgate conversation. Each day this week I posed a question for some of my favorite tailgaters. They respond, in between sips of fortitude. Today we look at the highlights/lowlights of the off season. The off season has been long, but pretty active. The departures and attrition have grabbed the usual share of headlines, but I would still rate the addition of Jeremy Pruitt as the highlight thus far. How would you characterize the 2014 off season? 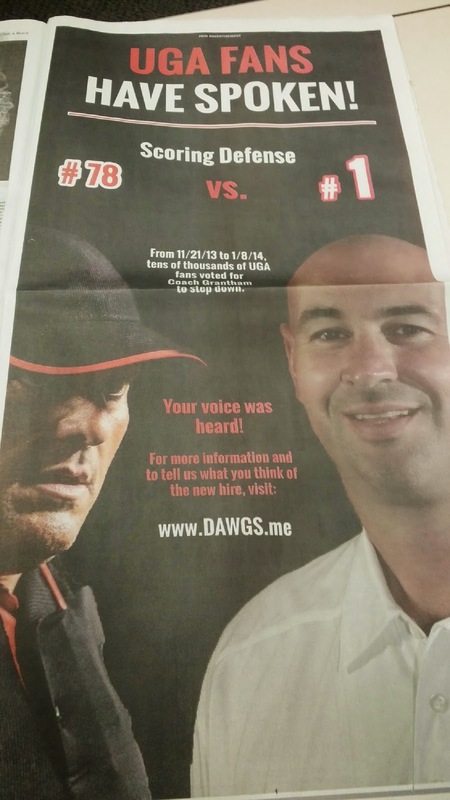 Jeremy Pruitt has to be the highlight of the off-season. Let me get this straight and pinch myself once more. The defensive co-ordinator for the 2013 National Championship team made a decision to come to our beloved Georgia Bulldogs and coach th same position? Not only that, it didn't cost us a ton of extra money. Extra money that I would have been happy to see AD Greg McGarity dip into the vault for. Great job by Coach Mark Richt, AD Greg McGarity, and especially Coach Friend. While I am optimistic about what the future brings under Coach Pruitt's leadership, I hate that there were players not willing to pay the price to succeed under said leadership. Regardless, I like "no B.S." attitude and the optimism far outweighs my frustration with players not doing the right thing. 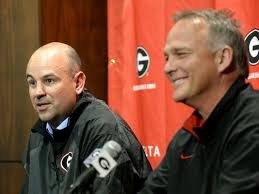 I think the additional of Jeremy Pruitt is without question the highlight of the offseason . But other than that it's been the typical trainwreck that us Dawg fans have become accustom to. Maybe the loss of so many key defensive players (to things other than graduation) will end up being addition by subtraction in the long run, but in the short term of the 2014 season there's a lot of math to overcome. Pruitt can't help but being an upgrade from Granthem, but even if he is the Nick Saban schooled rock star we are expecting it would have been much better to see him being able to salvage the damage Granthem did then to have to start fresh at so many spots. Thanks gentlemen! Y'all come back tomorrow when we look at the transition under center between #11 and #14. Around the tailgate - new era? more kool-aid?